Re: Forum questions, suggestions and bugs. Only 4 days left for the big 10th year anniversary!! Anyone finding bugs please post them HERE, not via MP to random Moderators. same on phone and now on desktop , i thought i managed to open some on android last week but no idea where they where to see if it still works. Yeah it was borked on mobile. Working for me now. I've been finding that too. Happened a few times on the WIW thread. I wondered if maybe it counts an edit as the most recent post. Is the "chat " none chat section gone ,or am i going totally blind ? No-one had chatted for 2 weeks. Waste of space. 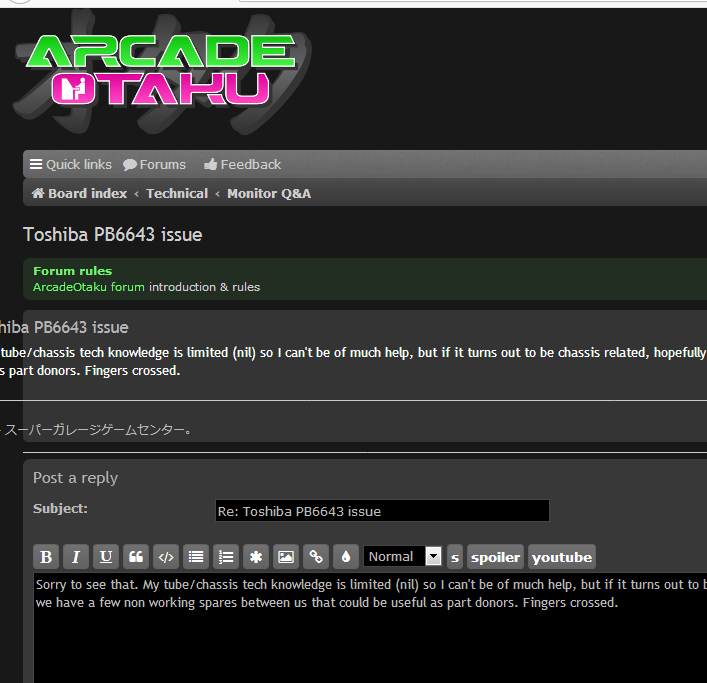 I'll update the forum when I have a spare hour. The first-unread button issue that Geotrig mentions above keeps reoccurring. The "Unread posts" button takes me two the same post for a few threads over and over even when new posts have been made to them. For example, "Random thoughts" and "I received today". Anyone else experience the same? yeah look up ! First it was a posts in july that i constantly was directed too ,i think it seems to default to Aug now for some though. "The field “YouTube” has invalid characters, only alphanumeric or _,-. characters are allowed and the first character must be alphabetic."